Gill is currently working as Maths Lead at Claycots School, the largest primary school in Europe. In previous settings, Gill has led large-scale change in maths teaching in 3 very different schools, as well as supporting around 15 other schools through her role as SLE. Gill undertook Mastery Specialist training in 2016; part of the first cohort of mastery specialists trained by NCETM. She gained post-graduate Maths Specialist Teacher accreditation by the University of Greenwich in 2012 and is currently studying for an MSc in Mathematics Teacher Education at Oxford University. Mr Crawley has been a Mathematics teacher since 2014 and is currently employed as Lead for KS3 Mathematics (Year 7 & 8) at The Piggott School, Reading. His role includes developing teaching for mastery for all Year 7 classes so that students are more confidently prepared for their (reformed) GCSE papers. 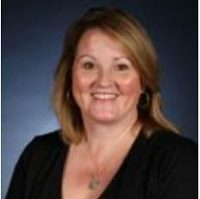 Rosemary Hobson is a member of the Extended Leadership Team, Assistant Subject Leader for Maths and Mastery Lead at Tring School in Hertfordshire. She has trained as a Mastery Specialist and was also part of the Increasing Competence and Confidence in Algebra and Multiplicative Skills (ICCAMS) project with Durham University. 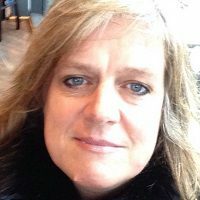 She has over 20 years experience of teaching maths and has held a number of different roles. She is presently working with two mastery advocate schools to implement a Mastery approach within their setting. Jennie was part of Cohort 2 Mastery Specialist Training Programme and represented the BBO Maths Hub on the Shanghai Exchange 2017/18. Jennie is Maths Specialist at Botwell House Primary School, Hayes and is currently leading a Maths Mastery Teacher Research Group 2018/19 for Maths Hubs. Rachel is a Maths specialist with 18 years teaching experience. She is an accredited PD lead with the NCETM and a SLE. She has specialised in PD for Primary Teachers including leading work groups for BBO Maths Hub and providing training through Cygnus Teaching School. Rachel teaches part time at Wycombe High School where they have been developing teaching for Mastery since 2015. 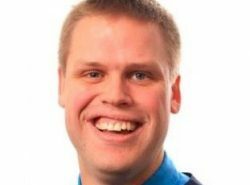 Whilst working with organisations and schools across England, independent mathematics consultant Nathan Crook aims to inspire leaders and learners through delivering nationally accredited Continuing Professional Development. He has a passion for ensuring that the subject is accessible to all learners having found maths a challenge himself during his own younger years. Nathan has become part of the Executive of the National Association of Mathematics Advisers, which ensures that he continues to be up-to-date with agendas across the world of maths. 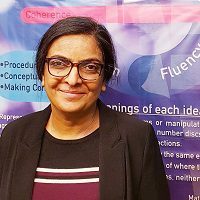 Kulwinder Johal has been teaching Secondary Mathematics for over 26 years, including 3 years as a PGCE tutor, as well as various responsibility roles for Mathematics. She is currently Secondary Mastery Specialist at Baylis Court School and is leading mastery development in her school across KS3. She is working with two Mastery Advocate schools to help them to implement Mastery and has supported three schools last year in a Teacher Research Group. I have had a wide and varied range of teaching experience including working in primary schools where I have been a Maths Subject Lead, Head of Maths at a secondary special school and I currently work in mainstream secondary as Second in the Maths Department and Lead Practitioner. I am also undertaking the Secondary Maths Mastery Training and I regularly deliver training to a range of audiences. 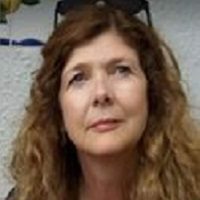 I have also worked as a both a local authority and independent consultant that has incorporated representing BEAM (Be A Mathematician) and Numicon and delivering a maths programme at Reading University for a Maths GTP Course. I believe that all pupils can succeed in maths given the right resources, environment and the belief that they can achieve. My aim when teaching is that maths should be accessible to all pupils, there is no fear about making mistakes and that there is an element of fun in the learning that takes place. Lucy is passionate about improving learners’ experiences of maths in the classroom. 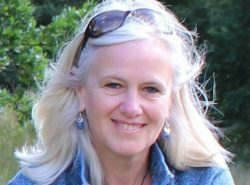 Having been a teacher herself in both primary and secondary she currently divides her time between local authority work as a cross phase mathematics adviser and lecturing on the secondary mathematics PGCE course at the University of Reading. She believes that mathematics in schools should be practical, real and relevant and enjoys exploring cross curricular connections and exciting contexts that bring mathematics alive for all learners. She is currently investigating the role of maths talk in increasing learner resilience. I was delighted when I was asked to lead a work group this year.